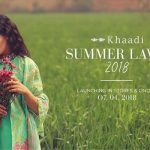 YOLO teenage collection 2018 by Gul Ahmed has finally launched. 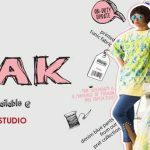 Though we are past teenage years, but the bright and vivid colored outfit with fun prints all over has got us intrigued and curious. 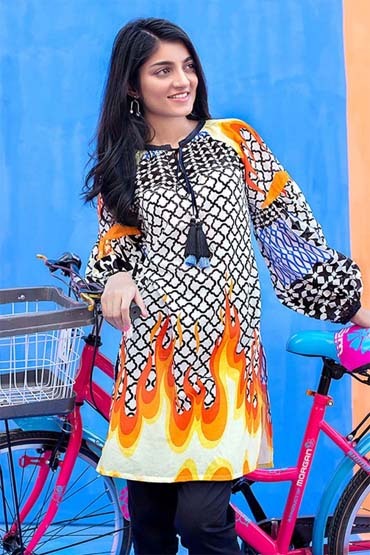 This unstitched one-piece collection is so vibrant and lively it reminds us of those adolescent years! Below are some prints we are eyeing and definitely worth buying. 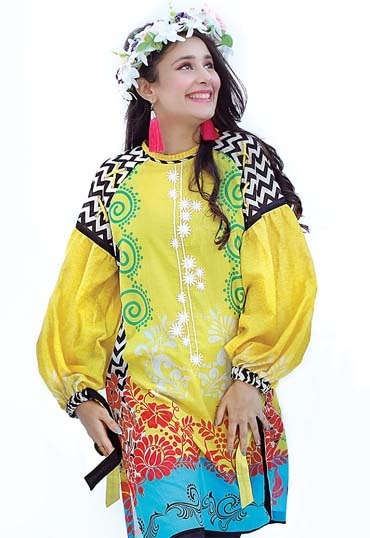 Embroidered yellow shirt blended with fusion of bright motifs and zigzag black and white lines. Can we all take a moment out and praise this heavenly piece of clothing? 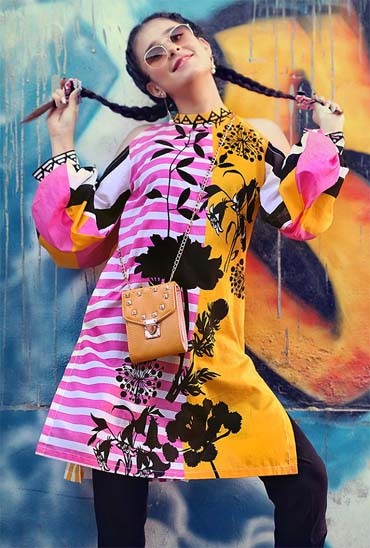 Orange goes so well with pink and white stripes, and we love the black floral print running on top. Teen years are about that zeal and fire, to stay different and to be unique. This piece is perfect for rebels out there, who would not settle for anything less! Black and white geometrical pattern, in an overlay of different shades of botanical. A perfect casual pick to rock those movie night out with your girls! This one-piece reminds us of everything Parisian. Multicolor lines and shapes and butterflies making an escape, we are truly awestruck! 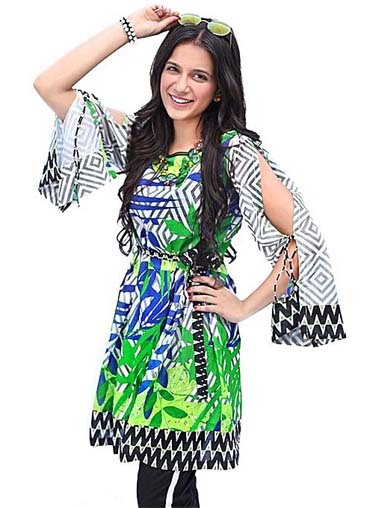 Isn’t this retro print so appropriate for a teenage? Music is vital, and we are all hearts and flowers on the musical notes print and vintage cassettes in green & pink.